If you’re looking for a comfortable, community space to get fit, the great sports centers of the Lone Star State are your best bet! 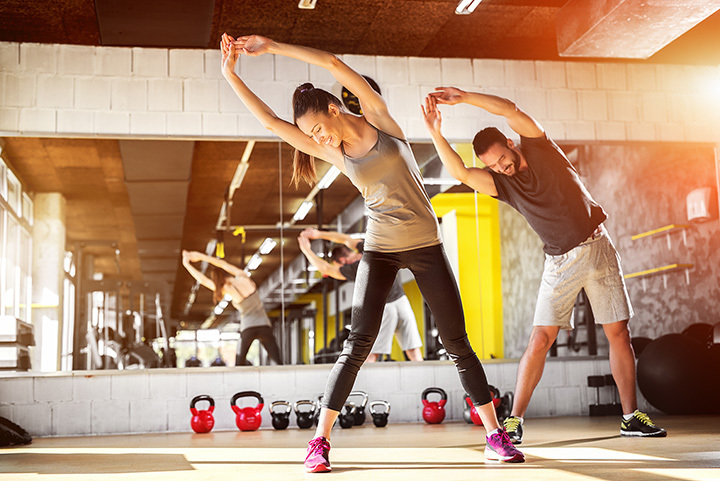 Not only do these places provide top-notch equipment for sports ranging from basketball, to baseball, to volleyball, they also have state-of-the-art workout machines and classes. Here are the 10 best sports centers in Texas. The Texas Sport Center in Dallas, Texas, features over 150,000 square-feet of indoor space with 10 basketball/volleyball courts, 12 batting cages, two large fields, and much more. They run a variety of leagues for youths and adults. Round Rock Sports Center in Round Rock, Texas, offers basketball, volleyball, and strength and conditioning youth programs. Round Rock is known as “The Sports Capital of Texas,” and this 82,800-square-foot indoor facility provides one of the best places to train the athletes of tomorrow. Austin Sports Center actually has three locations: two in Cedar Park and another in South Austin. For this, we’re focusing on just the Austin location, which has 10,000 square-feet of gym space, a pro shop, weight room, spectator mezzanine, and much more. The other two locations are also well-worth checking out. The Plaza Sports Center provides youth camps and sports leagues for youths and adults in Pharr, Texas. They’re primarily focused on soccer and regularly host tournaments, clinics, and more. Our Soccer Academy at Plaza Sports Center starts students as early as 5 yrs of age teaching soccer principles and skills. Come by for Free Trial Class! The Westlake Sports Center in Mesquite, Texas, is a publically-owned facility with nine tennis courts, archery shooting range, and a pro shop. Play tennis inside or out and take advantage of their pro shop and dressing rooms. Birons Youth Sports Center in Houston, Texas, has been in business since 1972, and has been showered in accolades ever since. They offer classes gymnastics, cheer, karate, and more. Check out their website for current class offerings and programs. Superior Sports Center in San Antonio, Texas is primarily focused on volleyball, with pre-season programs, summer leagues, camps, clinics, and private lessons. They also offer basketball programs and open gym time for adults. Game On Sports Complex serves youth and adult athletes in the Fort Worth area. Come play baseball, softball, basketball, sand volleyball, futsal, flag football, and much more. They even offer PE for homeschooled students. The El Paso County Sportspark boasts “some of the most competitive sports leagues for athletes of all ages,” including leagues for baseball, t-ball, and softball. They also offer a special Law Enforcement League for players who work for law enforcement agencies. The Harold Patterson Sports Center is one of Arlington, Texas’s most beloved fields. Sign up to play youth baseball, volleyball, or soccer and enjoy the field for yourself. Dom's first goal!!! Great day for soccer!! View more Texas Sports Centers and Complexes.